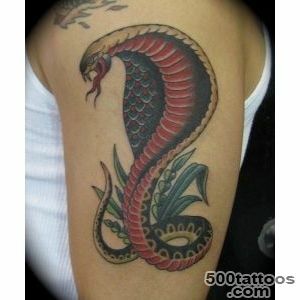 Cobra tattoo symbolizes power and wisdom, and the revival of free sexuality. 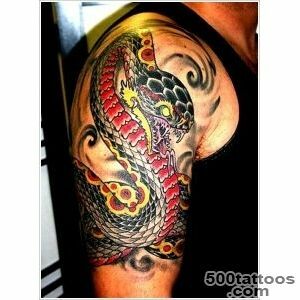 Tattoo is suitable for men and women. 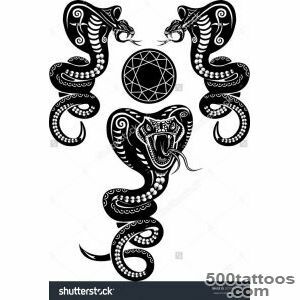 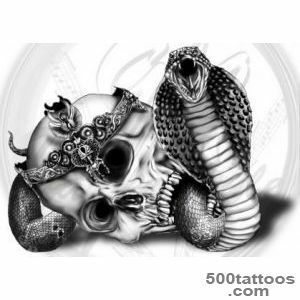 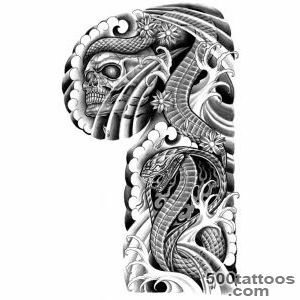 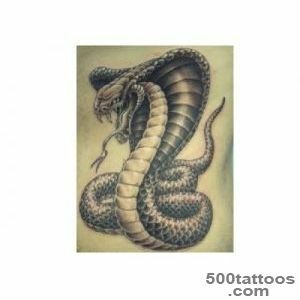 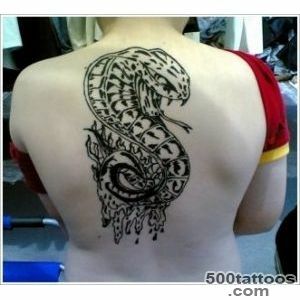 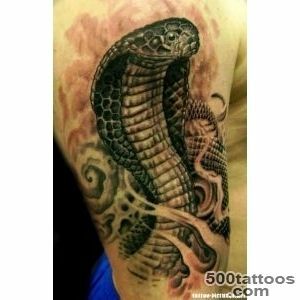 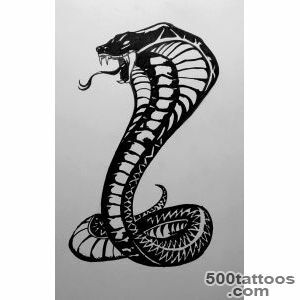 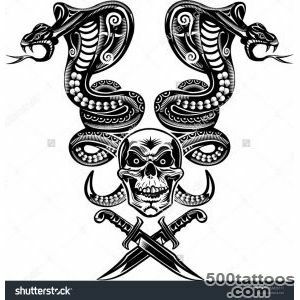 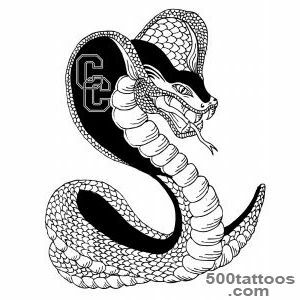 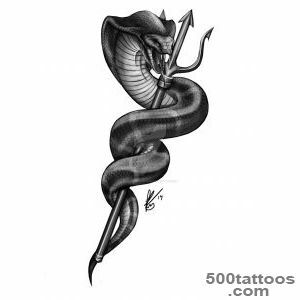 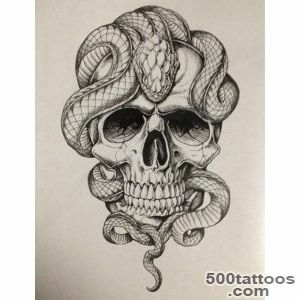 Cobra Tattoo - a special image, endowed with attractive magic and special mystical charisma. 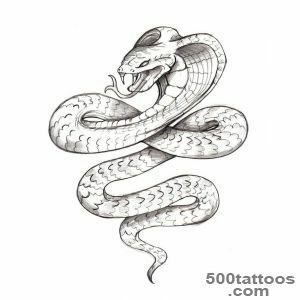 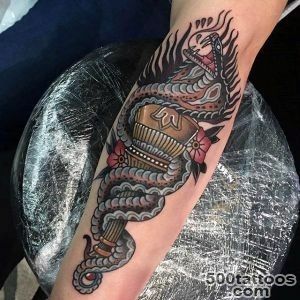 Sketch depicting cobra tattoo can include other characters, usually performed in color.Cobra on the tattoo is always depicted with a raised hood, ready for the deadly attack, full of energy, awesome power and movement of life. 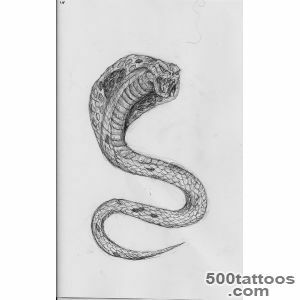 Sketch of cobra tattoo chosen by young people with unconventional attitude to life. 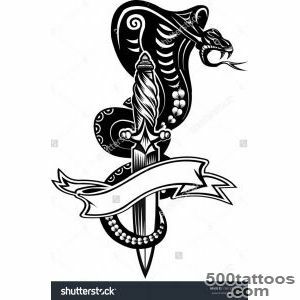 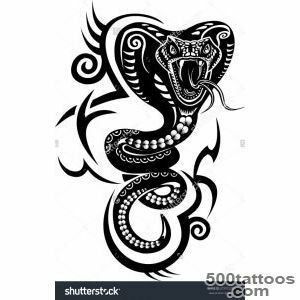 Meaning tattoo Cobra ambiguous, as she cobra venom possessing while deadly and healing.Cobra image on the body indicates that the owner is always ready to bravely meet the danger, it is a sign of freedom and self-expression, serpentine grace and overt sexuality. 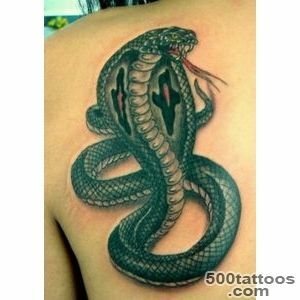 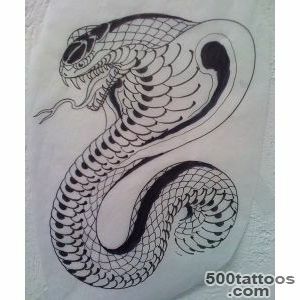 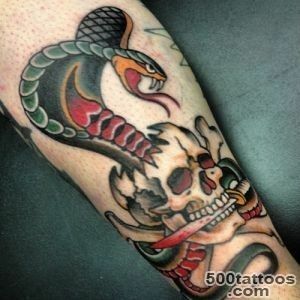 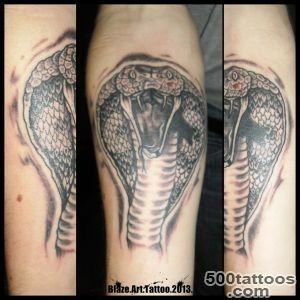 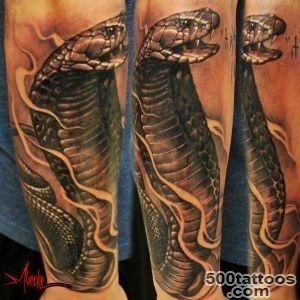 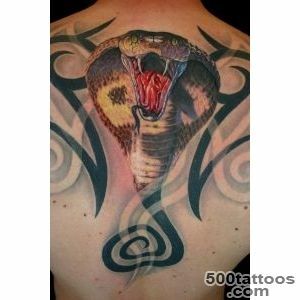 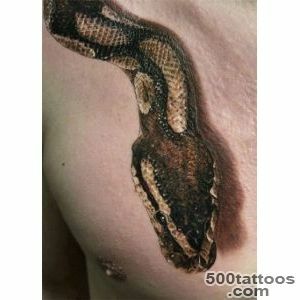 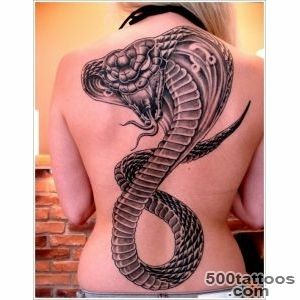 The very essence of Cobra inherent duality, the same sometimes opposite values ​​and has a tattoo. 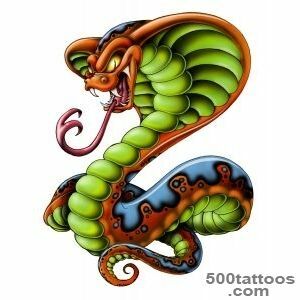 Cobra - the only snake that was awarded the title of Royal. 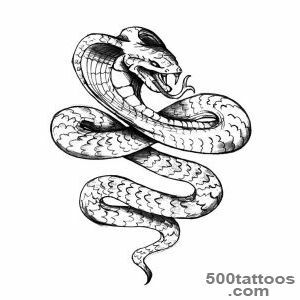 In Egypt, the cobra depicted on the crown of the pharaoh Images cobra in the frescoes of temples and palaces symbolize the power of the pharaoh and priests.The Egyptians gave cobra power to give life or death. 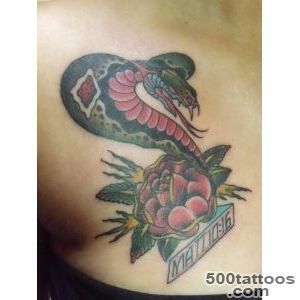 Snake - the eternal symbol of wisdom. 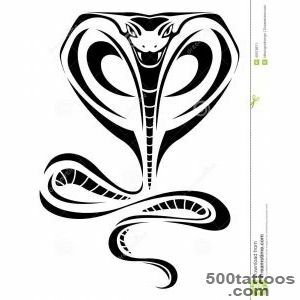 Cold and impassive cobra able to understand and capture all the flow of life, his wise eyes cobra mercilessly see through people. 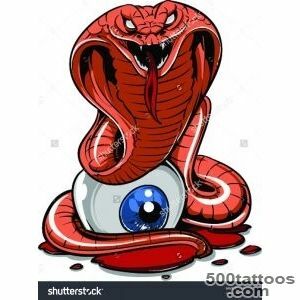 Lies and betrayal are not able to deceive the unblinking stare of a cobra. 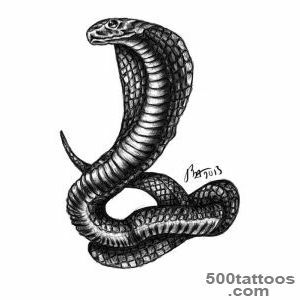 mercyCobra in the culture of ancient Egypt and India, is revered as a sacred animal. 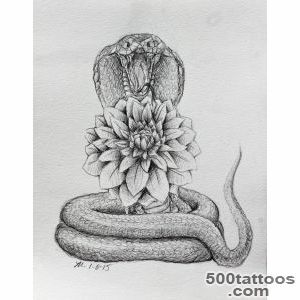 This snake, which is the eye of the sun god Ra, Buddha guards sleep from the scorching sun. 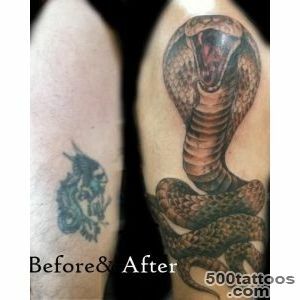 Snakes shed off the skin completely updated in the process. 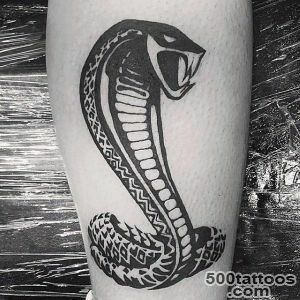 The owner of a tattoo of a cobra ready also to a permanent revival,each period of his life he mercilessly leaving the past and move forward to completely renew their identity. 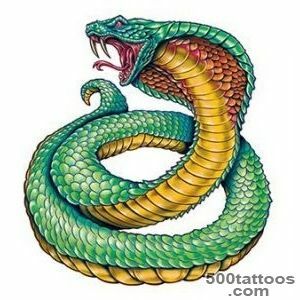 Women value tattoos. 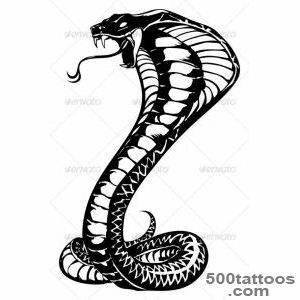 The symbol of life that lasts generations. 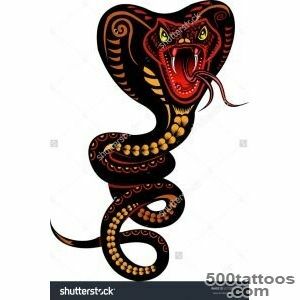 One of the essences of fertility - sexuality - also applies to men. 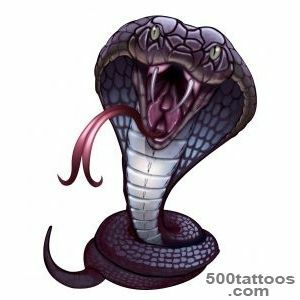 Cobra Bite is deadly, and it knows all the cobra,who surround her. 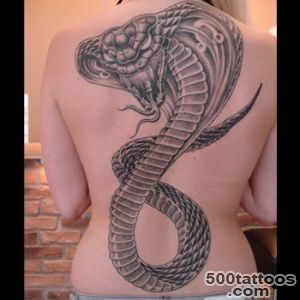 Open the hood of a cobra says that the snake is ready to roll death. 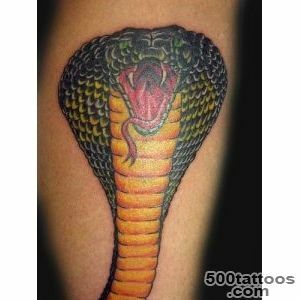 Cobra is not afraid to meet face to face with danger and is able to protect themselves and others. 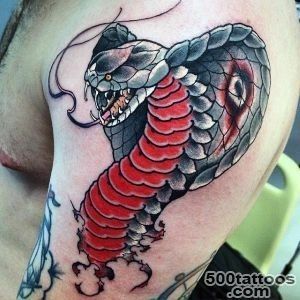 Often cobra snake - a symbol of baseness and negative force, which is expressed in the negative and evil deeds. 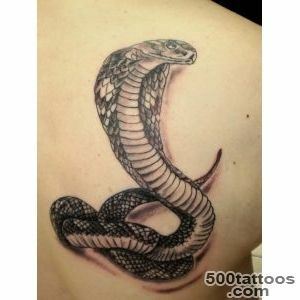 For,to preserve their power and show their strength, cobra ready to do anything - even to meanness.